Like every year I love to attend this awesome conference. It sets itself apart in luxury, detail and talks. 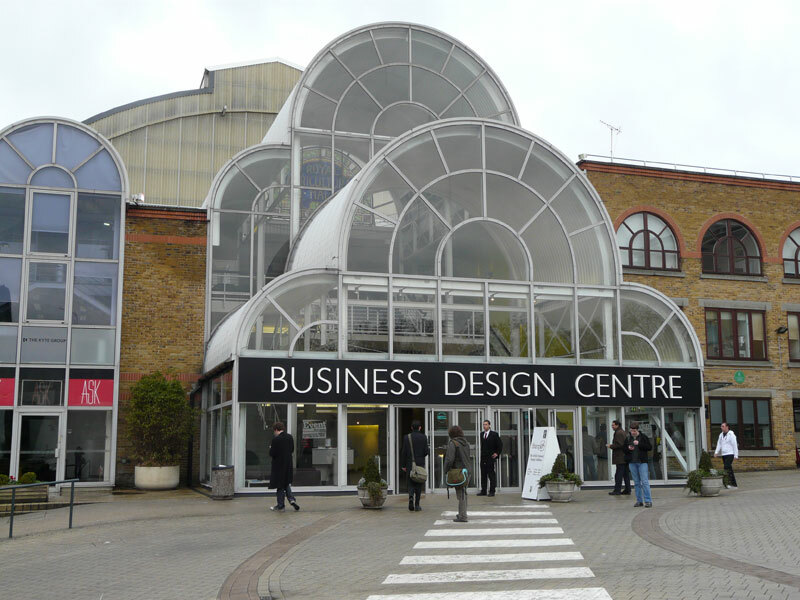 This year it was held in the Business Design Centre London. And what a cool venue this is. It is big, very modern and in the heart of London, just near St. Pancras. Which makes it very easy to reach. The reason why I am writing this review is I owe it to myself. You just have to brag about the fact that you attended this congress. And what better way to do it than to let the world read it. In the mean time giving the world a small glimpse on what it means if you attend this conference. 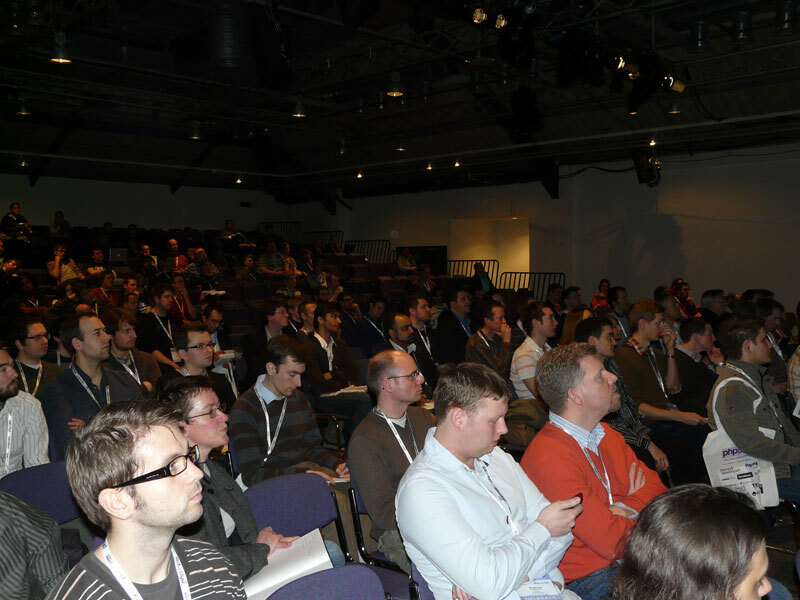 By writing this post I hope I will convince people to attend the phpuk2011 which will be held on 25th Feb 2011 (yes they have already set a date, same as the one for 2010, I spot a pattern here…). And you can bet I will be attending then again. 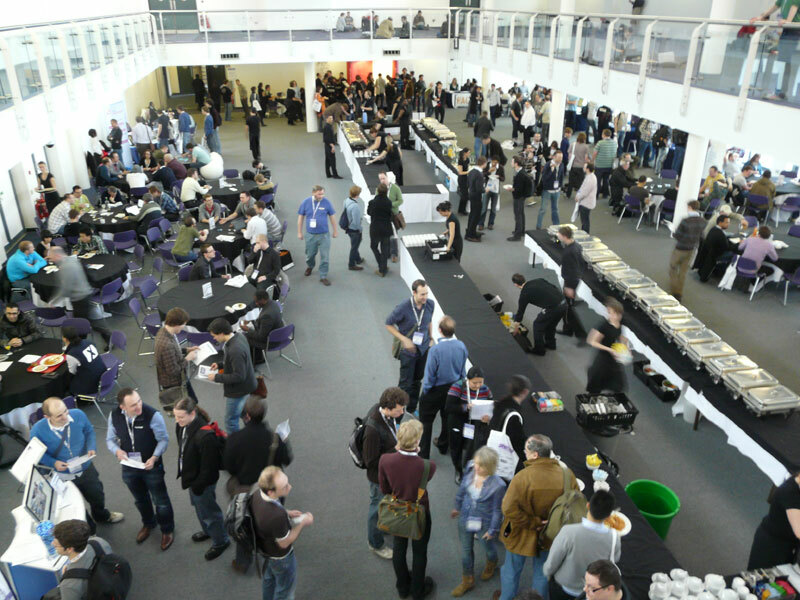 It is an annual PHP conference, powered by PHP London, this year being the fifth. Typically it is a one day conference which attracted this year approximate 450 attendees and an excellent line-up of speakers (of which I will review their talks later on my blog). It is so much more than just presentations on the latest and hottest topics around PHP. It is a event that invites, because of its relaxing nature and well designed schedule, for excellent networking possibilities. Some congresses tend to hurry the attendees from talk to talk without any breaks. PHP London organizes this conference a little bit different. They ensure that between each talk there is at least a 5 minute break. This gives you that time to network and let your brain rest for five. Which is necessary if you do not want to have a brain meltdown and looze focus during the talks. The organizers Scott, Matt, Jo, Dave and Franck know how important this is and do not loose track of this feature. Because the talks are very impressive. Take a look at the following schedule. Developers, managers, stake holders / investors, speakers, sponsors and much more. Enough interesting people to network. This year you had a pick of 450 people to talk to. Learn what drives other developers, learn new stuff from the speakers, do informal job interviews with managers, sell your project to investors, learn new technologies or opportunities at sponsor boots, maybe even win some prizes. To be short: an interesting bunch of people all waiting to talk to you and learn a little bit of what occupies your world. Maybe both worlds can align now or in the future. That is what networking is about. I generally have at least 15 extra people follow me on Twitter after or during a conference. Yes even during, because let us not forget we are talking PHP, most of the attendees are connected to the Net and are so hooked on it that they will even bring their laptops to be connected to each other during talks. You can see them comment on twitter, put pictures online on flickr or rate the talks on Joind.in and all this while the conference is in progress. The community is a busy crowd, it is alive and vibrating. And this community is non stop growing and attending the conferences world wide. PHPUk being one of the best. I also like very much the DPC (Dutch PHP Conference), typically a 3 day event organized by Ibuildings. See my review for the 2010 edition. 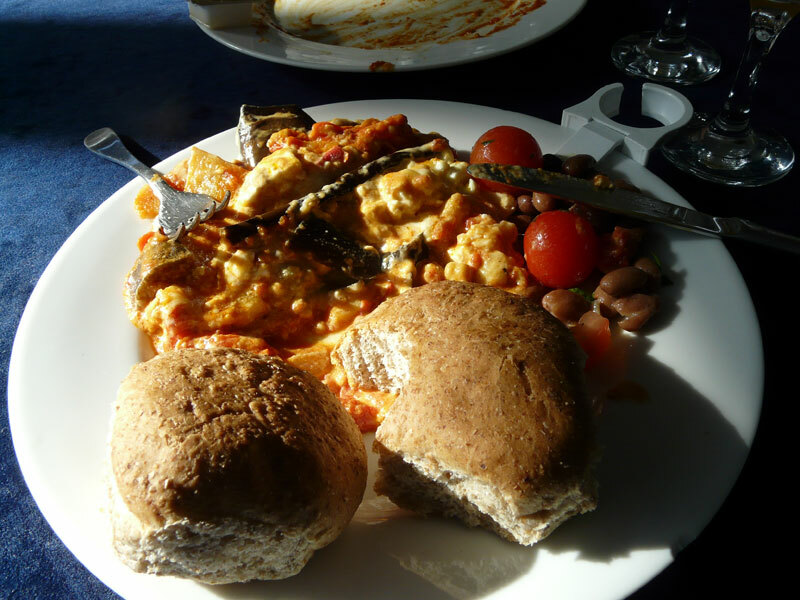 PHP UK conference is an excellent conference with a great selection of speakers, excellent venue (this year being better than previous year) , outstanding service (first class warm dinner and all day round drinks a volontee), and a social event you cannot afford to miss. Some rooms had a very annoying air conditioning, making it unbearable to sit at some spots, because of the cold air current. Some important mailing info could be a little bit more up front and not the day before. great value for money and a special thanks to the organizers for making this a perfect day. Mentally I already booked to attend the next edition. ps. The next blog posts reviews on the talks.